So the GPA have thrown the toys out of the pram again. They were not happy that the GAA decided to go ahead with experiments on rule changes. This despite having their own representative, David Collins, on the committee. In demanding an immediate meeting with the GAA president John Horan, the GPA must have felt they know best when it comes to any changes with anything to do with the game of football. Horan agreed to the "urgent" meeting with GPA chief executive Paul Flynn. It was hardly going to be a shoot-out at the OK Corral but maybe Horan reminded his Dublin friend of who exactly runs the show. Anyway, peace has broken out again and there will be a review of the new rules before the league, when we will all have had a chance to see them in action and decided for ourselves. Personally, I would have been happy to go on without a review so soon. But the fact that county players were so overwhelmingly against some of the changes, particularly the limit on consecutive handpasses, got me thinking. Who does the game belong to? Is it the property of the elite players? Should they decide what the rules are and what way the game should be played? Have the managers of county teams a bigger say than the ordinary Joe supporter who pays into games every weekend? Has the club player any say at all? What role have all the journalists, ex-players and general factotums who commentate on matches every week? Are their opinions not valid too? Where does the GPA fit into this hierarchy and are they of greater importance than the Club Players' Association who get no official recognition, no money but try to represent the views and concerns of 98 per cent of players? County players have a role in this but the obvious conclusion from their position is that they see nothing wrong with a boring game which is completely dominated by handpassing, one which the public are getting fed up with. Nothing to report here, say the players. The past few years have seen a gradual decline in the popularity of football. Don't take my word for it. Television viewing figures are heading south. Should the authorities in Croke Park have sat idly by and allowed the house to burn down? In the last few years various commentators have made a variety of suggestions to improve the ancient game which was going down a road few seemed to enjoy. In that time I cannot recall anyone writing or commenting that the game was healthy and a wonderful spectacle. In general, it was quite the opposite, even allowing for the odd very exciting match like some of the Dublin-Mayo games. From that descent of football into a mongrel version of the old game, the rules body set up by Horan got down to work. Not just on opinions but also on reviewing statistical data from games going back to 2011. You did not have to be Einstein to figure out that kick-passing had declined and handpassing had taken over. The ratio of hand to kick passes was getting near four to one. Take away kick-outs, frees and sidelines and football had become totally a handball game. Some players never kick the ball anymore. Is that what people want? Not according to all surveys, but I'm with the suits on this one. Maybe they should have thrown the players a bigger bone by allowing such an important group a veto. Of greater interest to me was why someone from the Club Players' Association was not involved in the discussions. After all, they represent most who will be affected by these rule changes if they go the distance. When it comes to the specifics of the rule changes I would not disagree with anything involved - except that they don't go far enough. At least it is a start. One of the guiding principles involved was that more contests for possession should be encouraged. Hence sideline kicks should go forward. This was based on sound reasoning as data showed the majority of these kicks are going backwards. But if sideline kicks must go forward then in my view the same should have happened with frees, everywhere on the pitch, except inside the 20-metre line. It would ensure more contests for possession, more turnovers and stop this racket of giving the ball back to the goalkeeper and then the 46 handpasses in a row which he starts while the opposition line up across the pitch in some pre-determined defensive structure. A bit like the Siegfried line of the first World War, without the shelling and the mustard gas. Many commentators worry about the referees' ability to count to three in determining handpasses. One of the top refs who went to the educational institution to which I'm attached would hardly share their concerns. Counting to three is actually part of the primary school curriculum and while referees are not examined in their tests on counting, I think we can safely assume that counting to three is within their capabilities. Of course there will be mistakes and there will be plenty of oohs, aahs and f***s if a player puts a colleague through for an open goal on the fourth handpass and the referee gives a free out. The rules committee will need to keep their heads down when this happens, and it will. I saw it happen with my own two dodgy eyes in one of the trial matches. Yet limiting handpassing works well in the international rules games so there is no good reason why it won't work in our game. Of course there are two referees in that particular code and this was a great opportunity missed by not getting two men with whistles for this experimental period. Nothing ventured, nothing gained. Naturally, when this suggestion is made there are many who like to make statements like, 'You can't get one good ref, how could you get two?' This is part of the normal level of public opinion. Public opinion in the GAA is usually wrong and if anyone were to base their moves on the whim of the public then the train would never move out of neutral. Those who take calculated risks determine progress in all aspects of life. The rules body are doing that and even if I think they erred grossly on the side of caution, they at least made decisions. Those who oppose change would allow the game to wither away and find good reason to do nothing. The only players who don't appear to be totally paranoid about the changes are Dublin. The jokes that handpass restriction will decommission Ciarán Kilkenny and his friends could spectacularly backfire. These changes will suit Dublin much better than any team as they can kick better than any other side. So be careful what you wish for. When the Dubs get to the third handpass they, like all others, may just turn and kick the ball backwards; this rule change cannot prevent that. Only a rule - as in basketball - where you could not play the ball back over half-way would solve that one but putting something like that in at this time could mean information overload and the GPA would need more expenses for that. In doing some good by introducing these new rules last weekend, the Central Council missed an opportunity to do even more good. The worst decision by a country mile that was made last week, and has hardly got any attention, was throwing out the motion from Roscommon looking to have a fresh look at fixtures. What sort of people could just turn their backs on this progressive move? What was there to lose? 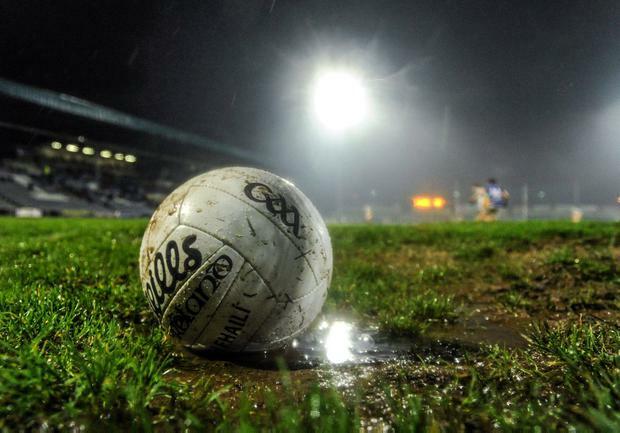 The GAA at central level have made a mortal enemy of the CPA by their carry-on. This could end in tears. It was disappointing that the GPA did not vent their displeasure over this. That motion should have been carried unanimously but there are many GAA officials who want to scuttle the CPA rather than show a bit of kindness. The basic request was that a group would get together who would take the blank-canvas approach to drawing up a complete fixture list and then report back to Central Council. Obviously all the power blocks - like the provincial councils - decided that this was too big a threat to countenance as it might step on their delicate toes. Shame on you all. Tinkering with the edges of a broken system solves nothing. That is all that is happening now. When Páraic Duffy tried to free up April it may have been the right intention but it was doomed to failure without a central authority overseeing all fixtures. On this motion the GPA should have been coming out with all guns blazing in support of the CPA. Instead they tried to shoot the rules messenger. They missed that target unless Central Council cave in. Could happen too.